Years ago, making money outside your office sounded like a story from the distant future, right? Well, that future is now, and the best way to earn a pretty penny anytime and anywhere is by leveraging the power of affiliate marketing. For 81% of brands and 84% of publishers, affiliate marketing is already at the top of their priority list. This number is predicted to rise as affiliate marketing spending increases by 10.1% each year. But how does affiliate marketing help your eCommerce business? And how can you take advantage? Here you will find the answers to these questions and then some! Basically, it’s a type of performance-based marketing. 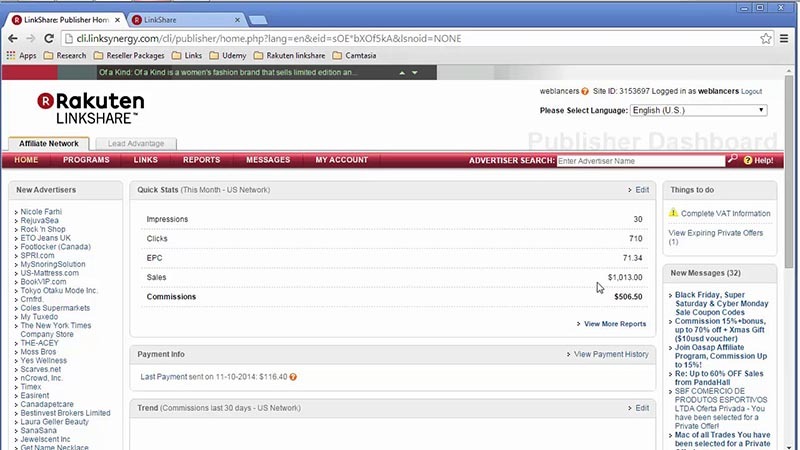 An affiliate marketer is rewarded for referring potential customers to a merchant’s business. In other words, the affiliate shares a link that promotes certain products. 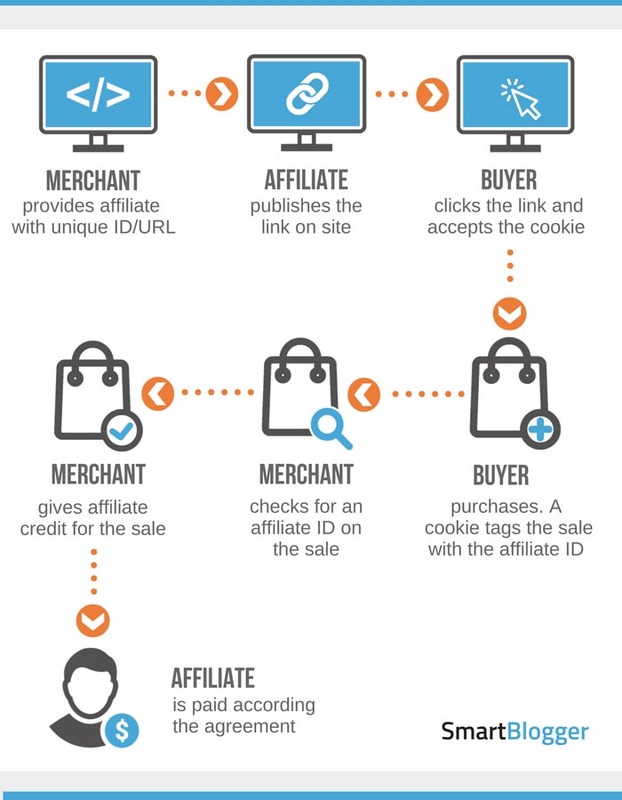 Once the customer buys products using that link, the affiliate gets a commission. Since most affiliate marketing programs work with a 30-day cookie period, affiliates can get rewarded even if the customer doesn’t seal the deal right away. There are two types of affiliate programs which provide different profit sharing: low ticket and high ticket. So what’s the difference between the two? 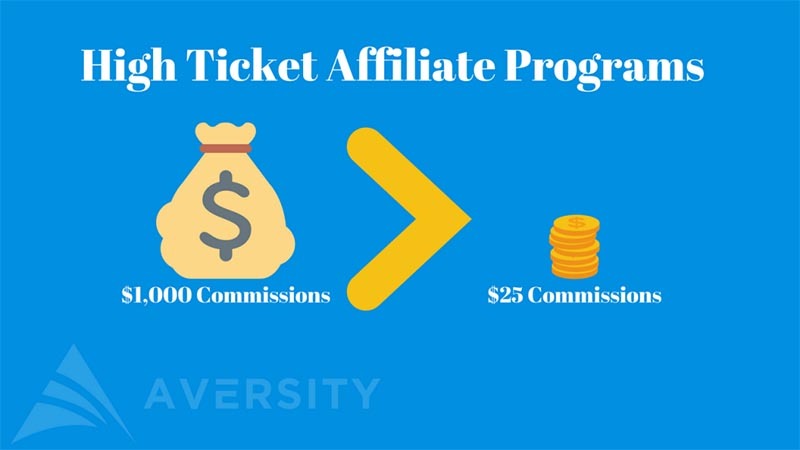 Essentially, low-ticket products earn affiliates low commissions. These commissions usually fall within the $10–$50 range. On the other hand, high-ticket programs have high affiliate commissions. 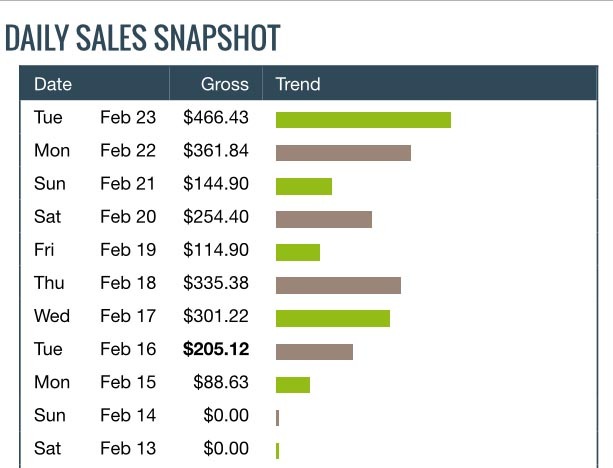 An affiliate can make one sale in a month but still earn over $1,000. Many people think promoting high-ticket affiliate products is hard. They also think this practice is not as rewarding as promoting low-paying affiliate products. This can’t be further from the truth. Some consumers are willing to invest more to get more. Consequently, many top companies are ready to invest more in their online marketing strategies. You need to have a deep understanding of who your buyer is and why they want the product you promote. To identify your buyer persona, you’ll need to do your research and identify their problems and needs. The better you understand the target prospect, the more successful you’ll be. When you’re selling expensive products or services, your audience likely wants to do more research beyond reading a few reviews. Building a sales funnel lets you establish a relationship with them and helps you seal the deal. Becoming an affiliate marketer can be very beneficial and provide a steady, low-risk stream of income. You don’t need to create new products to make money. The product has already been developed by the seller. All you need to do is to think of a way to include affiliate links in your content. As a result, you’ll get your fair share when someone makes a purchase using that link. Affiliate marketing is an easy industry to join. For starters, affiliate programs are usually free of cost. You can also choose from a variety of niches. Finally, there are programs for virtually every product you can think of. Choose a compelling niche with products or services, relevant to your target audience. Then sign up for a good affiliate program, and you’re good to go. You don’t have to be a savvy marketer to become an affiliate. Instead, you can learn as you go. You will discover what performs best and brings the most profits. Then you can follow the most successful affiliate marketing strategies to get the best outcomes. As an affiliate, you don’t need to think about any customer service issues. Your job is done once the sale is completed. Any post-sale inquiries should be sent to the merchant’s customer service team. Flexibility is arguably the most significant benefit. You can keep a diverse portfolio while maximizing the opportunities that turn a profit. For example, you can create multiple campaigns on different affiliate sites to market your links. After that, just check which ones perform best. You don’t even have to stick to one product. You can experiment to see which ones sell more easily and are more profitable. While not a necessity, building an affiliate website is highly recommended. Most affiliate programs will ask you to submit your website URL before you join. They want to ensure your content won’t hurt their company’s reputation. Hence, it’s better to create a website right at the start of your affiliate marketing journey. With so many easy-to-use CMS platforms like WordPress, there isn’t a reason not to do it. A side benefit of having an affiliate website is you can use your SEO skills to boost your online presence. The first and most important step is deciding which niche to target. Defining your niche lets you establish yourself as an expert in front of the right people. You’ll be able to engage with them. Most importantly, you’ll build a base of loyal followers. Once you create your buyer persona, your online marketing strategy plan will come naturally. Altogether, this gives you a better chance to stand out from the crowd. It’s much easier to promote something if you’re genuinely passionate about it. People will notice your familiarity with the product and trust your recommendations. Plus, your extensive knowledge about the topic decreases your research time and makes the whole process less stressful. Being passionate about your niche will simplify your job, but you can’t pick an affiliate marketing niche just because you like it. Think about whether the niche has enough depth for you to create a lot of content for it. If you have valuable content, you’ll be seen as an authority on the topic. Ultimately, this will increase your profits. There are benefits to choosing a niche that’s less competitive. It’s easier to stand out and rise through the ranks. For that purpose, you need a solid online marketing strategy. This will require you to use a keyword research tool. This tool helps you discover the search volume of the search terms related to your niche. Keywords that are in the 2,000–5,000 range are great candidates. Is the niche trending on Google? Who are the big competitors? Who is the target market? If you want to get into affiliate marketing, you need to sign up for an affiliate program. This is essentially an agreement between you and a company. Usually, it outlines how you will promote their products or services, how this will be monitored, and how you will be paid. In the following section, you’ll find the top affiliate marketing programs. Clickbank is an affiliate program with over 200 million customers. It features a variety of products across several categories. Additionally, it provides great partnerships that can increase your income. Clickbank has a reputation for providing high commissions of up to 75%, not to mention on-time payments. This program also offers advanced reporting with detailed information about clicks, impressions, and sales. You know Amazon — the online marketplace that offers pretty much everything you need, delivered to your door. Amazon has nearly 300 million active customers. It only makes sense for affiliate marketers to partner up with the Amazon Associates program. Boasting 20 years experience, CJ Affiliate is one of the largest companies with affiliate programs. Apart from offering an extensive product portfolio, this company provides comprehensive, real-time reporting and sales tracking. 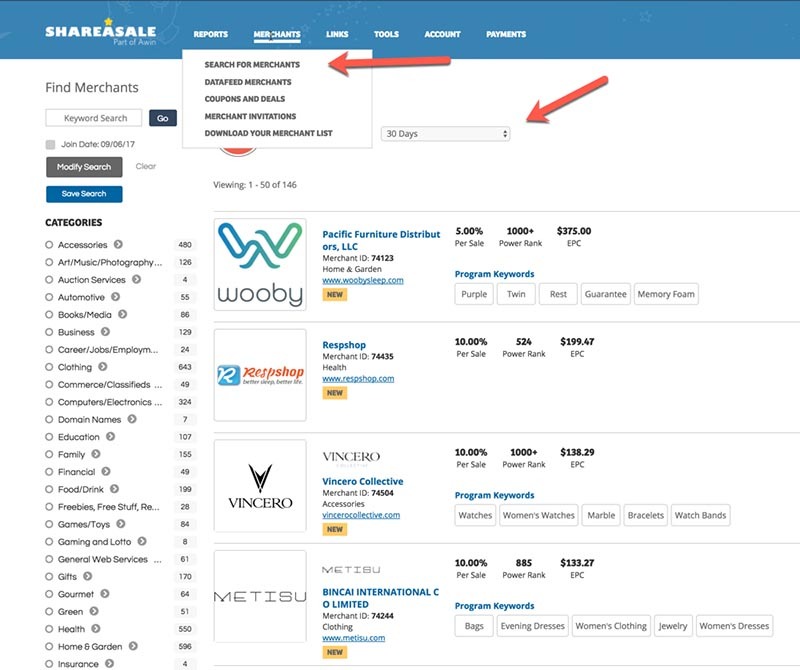 ShareASale is among the large-scale affiliate marketing companies with an extensive database of trusted advertisers and a broad selection of products. If you’re a beginner, you’ll love this program because it’s easy to use. 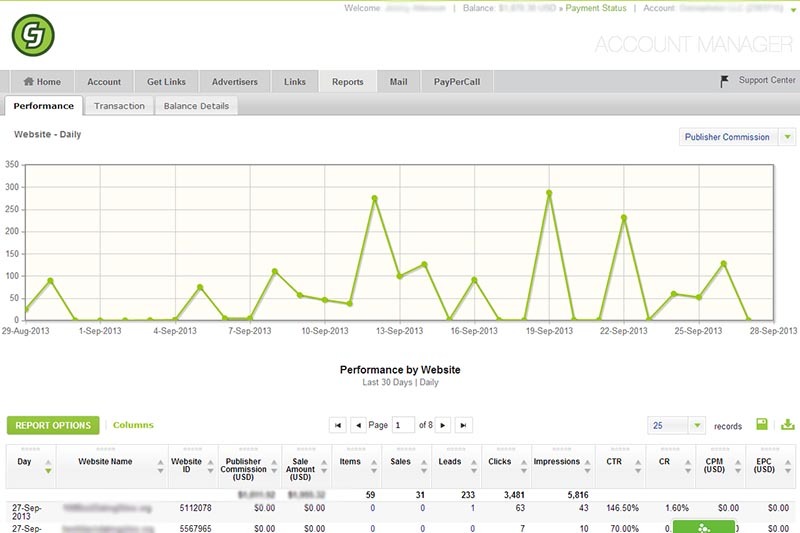 Plus, it has some amazing features, which enable you to measure every campaign and make more informed decisions. Rakuten is a global leader in integrated marketing, which provides high paying affiliate programs. It offers impressive features where you can, for example, easily create a rotating banner ad. Additionally, it boasts flexible deep-linking capabilities and real-time transaction reporting. On top of that, Rakuten manages the quality of services and products being promoted. If you’ve come to step four of our “how to start affiliate marketing” guide, you’ve created an affiliate website, discovered your niche, and chosen an affiliate program. Now, you need to build a base of followers. If you don’t, you won’t see any money. Emails are an excellent way to connect with your audience on a more personal level. You can gradually build trust by providing useful and engaging content. This will lay the foundation for marketing the product efficiently. Creating your content is essential, but so is guest blogging. Publishing blogs on sites highly relevant to your niche enables you to present your content to a broader group. All of this helps grow your audience. Pinterest is more than pretty pictures and delicious recipes. With over 175 million users, this social media platform is an excellent tool for generating website traffic. What’s more, over 75% of the images saved on Pinterest are created by bloggers and business owners. This stat proves that people love seeing content from other eCommerce websites. Writing articles that help your readers solve a problem will draw their interest. Doing this by using the product or service you promote is the easiest way to make money online. You should aim to establish yourself as an authority in your niche. This means you’ll need to produce high-quality, unique content on a regular basis. You can base your affiliate site model on writing reviews about different products or services. By providing your readers with honest and unbiased reviews, you’ll help them make the best decision about the product or service they want to purchase. If they use your affiliate link to close the deal, you’ll earn your fair share. 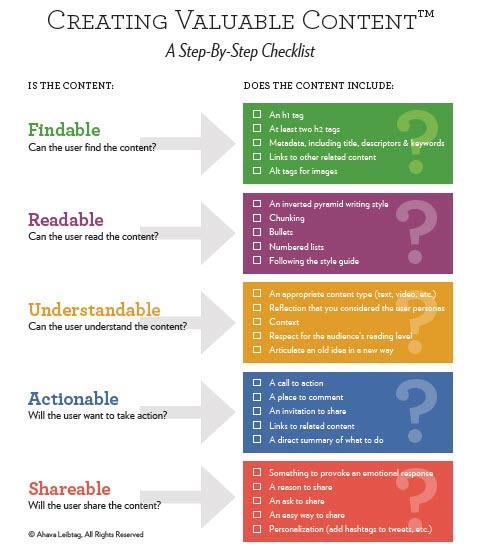 Creating blog content is a useful way to engage your readers. If done right, you’ll persuade them to use one of your affiliate links and make a purchase. Researching forums and social media will give you an idea about the topics you should cover in your blog. Creating tutorials and “how to” guides that genuinely help your readers will earn their trust. Consequently, gaining people’s trust gets you the best online affiliate opportunities. Readers will be more likely to follow your advice and choose the product you promote. 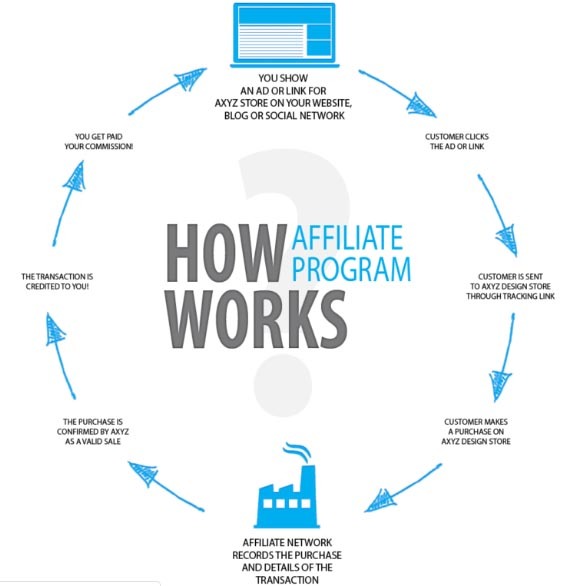 If you’ve reached this step, you’re ready to promote your affiliate marketing products and make some money. By now, you’ve built your audience and shown that you offer valuable content. This has laid the groundwork for you to promote your products and thereby continue adding value. The banner ads are visually appealing and highly engaging. They’re a great promotion tool. Make sure to insert a banner ad promoting your affiliate marketing offers on the website page that attracts the most traffic. Your in-text links should integrate well with your website’s content without being too salesy and pushy. If the reader decides to click on the link and make a purchase, you’ll earn a commission. Once you’ve built your email list and kept your subscribers engaged, you can start promoting your affiliate links. There’s no better place for promotion than social media. Today, social media platforms offer endless possibilities. Stories, live videos, or posts — there are many ways to show your expertise and engage your audience. All that makes us consider social media to be a great marketing channel. Additionally, you can use paid advertising on social media to reach your target audience and drive traffic to your affiliate marketing offers. Ever wondered how to make money with affiliate marketing tactics? Now you have your answer. The key to long-term success is following each and every one of these steps. That way, you’ll be able to engage your audience, convert your readers, and get a hefty paycheck for it! As the Marketing Manager at SEO Tribunal, part of Tina’s daily engagements involve raising awareness of the importance of digital marketing when it comes to the success of small businesses. As her first step in this journey was in the field of content marketing, she’s still using every opportunity she gets to put her thoughts into educational articles.